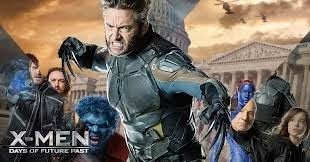 I hadn't read Days of Future Past until a couple years ago, when the film adaptation was announced. I'd read bits and pieces of the Claremont and Byrne run at that point, but honestly, I don't think that stuff has aged particularly well. Too much exposition, too many words cluttering the art. Sacrilege? Maybe. Most surprising to me was that the storyline is so finite. Given its resonance in comics history, I'd figured Days of Future Past was a Stephen King Dark Tower-esque opus. But it's actually a tight three issue arc, taking place in the pages of Uncanny X-Men #141-142. In it, an adult Kitty Pryde transfers her mind to her younger self, and rallies the X-Men to prevent a fatal moment in history that will lead to a dystopian future founded on anti-mutant hysteria. High stakes stuff, huh? Cut to 2014, and just a few days from now, we'll be watching Days of Future Past on the big screen. A very different version, sure, with Wolverine taking center stage - but with its core narrative seemingly intact. This week, we're playing in the Days of Future Past sandbox. Utilizing characters from the original comics, or from the adaptation, the Thoughtballoons crew has the opportunity to play in one of the greatest X-Men sandboxes of all time.